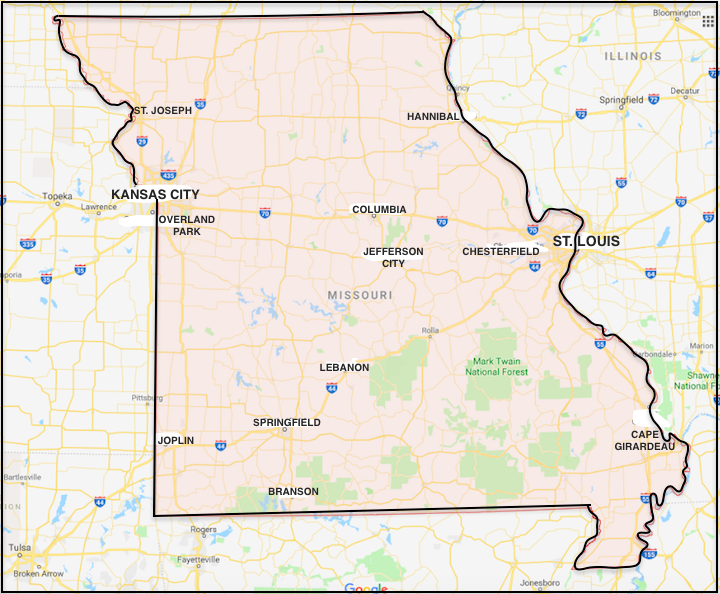 Scroll down for a free printable Map Of Missouri Counties, along with a Missouri city map. The above US map shows the location of the state of Missouri in relation to other US states. On August 10th of 1821, Missouri became the 24th of 50 states admitted to the Union. Scroll down to find fascinating facts about the state of Missouri. The official state flower of Missouri is the White Hawthorne, and the official state tree is the flowering dogwood. 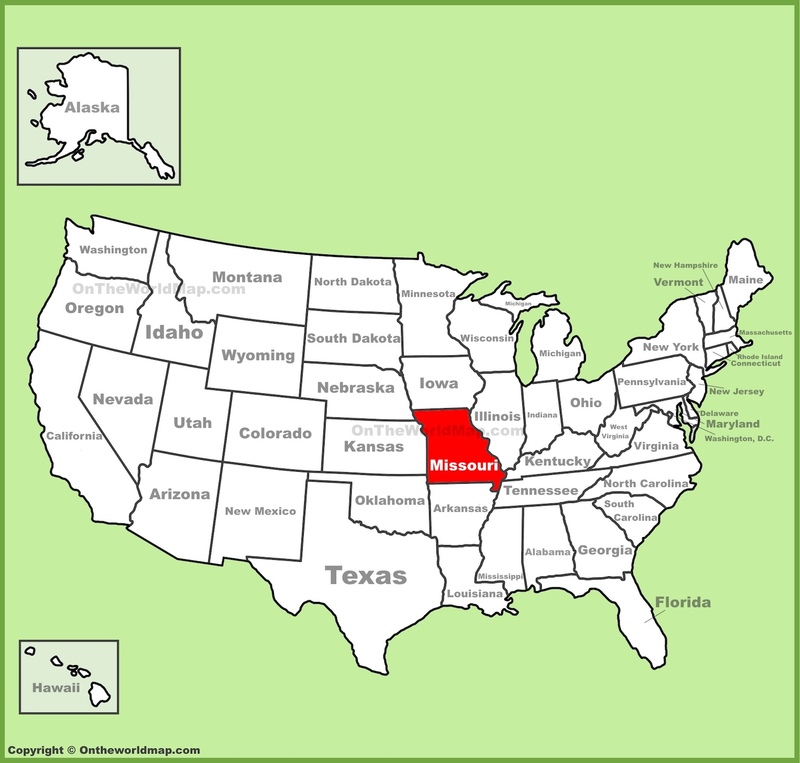 The state of Missouri shares borders with eight different states - Arkansas, Illinois, Iowa, Kansas, Kentucky, Nebraska, Oklahoma, and Tennessee. The Gateway Arch in St. Louis is 630 feet tall, making it the tallest manmade national monument in America. The first successful parachute jump from a flying airplane was made over St. Louis in 1912. The daring deed was done by Captain Albert Berry, from an altitude of 1,500 feet. Missouri is known for its unique regional recipes, such as Gooey Butter Cake. What is now the state of Missouri was once home to the Cherokee tribe. Missouri is home to more than 6,000 caves. The state even boasts America's only cave restaurant. On March 18th of 1925, 90% of the state of Missouri was destroyed by a tornado that killed nearly 700 people and injured thousands more. In Kansas City, there is an archaic law that prohibits the installation of bathtubs with four legs resembling animal paws. The largest city in Missouri is Kansas City, although the state capital is Jefferson City. Above: An enhanced google map of Missouri, showing roadways and major cities. Above: A map of Missouri counties.